Fig. 1. Photograph of acrobat training task and mean time for AC model and error rate. 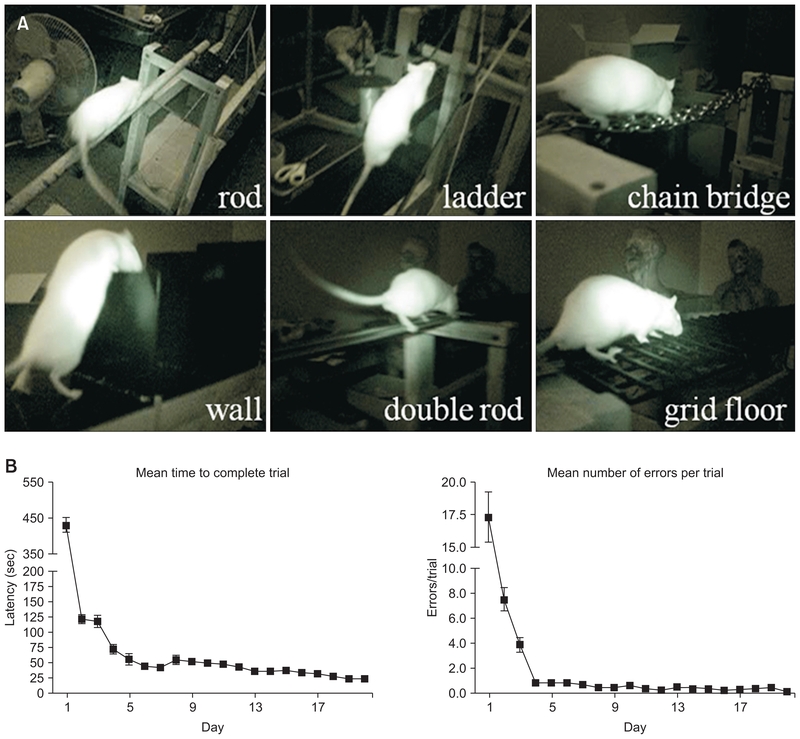 (A) AC model traversing a rod, ladder, chain bridge, walls, double rod, and grid floor during 4 trials per day, for 20 days. (B) Mean time for complete a trial was significantly decreased as AC model progressed (Pearson correlation coefficient; r=−0.95; p<0.0001; left). Mean number of errors per trial were also decreased during 20 days training (Pearson correlation coefficient; r=−0.5763, p=0.0039; right).